Grasmere is probably the Cumbria’s most popular village, thanks to William Wordsworth (1770-1850). 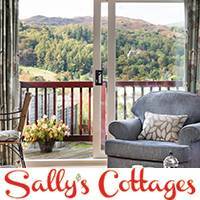 Today Grasmere is totally given over to the tourist industry, with plenty of gift shops, places to stay and places to eat. Most of the buildings date from the 19th or early 20th Century, though the farms around Grasmere are much older. The Church dates from the 13th Century. William and his sister Dorothy moved into Dove Cottage, in 1799 and they stayed here until 1808 as the cottage had became inadequate. They moved to Allan Bank, a large house that William had condemned as an eyesore when it was being built. They lived here for two years, with poet and friend Coleridge. They then moved to the Old Rectory, opposite St Oswald’s Church, a cold and damp house where his two youngest children died. In 1813 they moved to Rydal Mount. In 1850 William died while out walking. He and his wife Mary, who died 9 years later, have a simple tombstone in the churchyard of St Oswald’s Church, now one of the most visited literary shrines in the world. The Church stands on the bank of the River Rothay, along whose banks pleasant walks can be made. Recently the neglected bit of land between the church and the river has been renovated and turned into a place of peace called the Wordsworth Daffodil Garden. Here you can own a share, and have an engraved stone set in the path. At one of the entrances to the churchyard is this small building, which was the village school for over 220 years, from its opening in 1630 A.D. William Wordsworth, his wife and his sister all taught here in the early 19th Century. It is now home to the famous Sarah Nelson’s Gingerbread Shop. Just across the road from the Church is Church Stile, a row of 17th Century cottages, which is owned by the National Trust. The earliest authenticated occupant was a Richard Harrison, who died in 1662. By the 18th Century it had become Robert Newton’s Inn, and William Wordsworth, his brother John, and Coleridge stayed here for several days during their Lake District tour in 1797. It is only a short walk to the Lake, which can be superb, especially early morning in the summer, with the mist rising. Rowing boats are available for hire, 7 days per week between March and early November. There is a little island in the middle of the Lake, where William and Dorothy used to picnic. The island is now privately owned, and visitors should not land there tempting though it is. 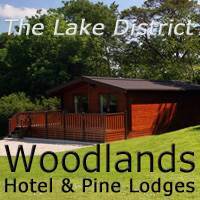 There is a walk around the lake, though part of it is on the main A591 road which runs along the east side. Every year on the Saturday nearest St Oswald’s Day (5 Aug), Grasmere celebrates its Rushbearing Festival. This custom dates back to the days when the earthen floor of the church was strewn with rushes for warmth and cleanliness. Each year from the end of July to the beginning of September at Grasmere Village Hall is the Lake Artists Society Summer Exhibition, where some 300 exhibits by local artists and sculptors are on display. There is also an exhibition at Easter. Grasmere Sports Day is one of the oldest and most popular traditional events in the Lake District. It is held in late August. 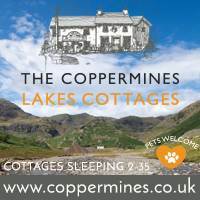 See What’s On around Grasmere, from annual events to volunteering activities and live music. The Lancrigg Hotel – a charming country house Hotel set in 30 acres of gardens and woodlands on the edge of Grasmere village. The Restaurant and Poet’s Bar are open to non residents.